We have released an exciting new update to our flagship remote desktop management console, VNCScan Enterprise Network Manager. 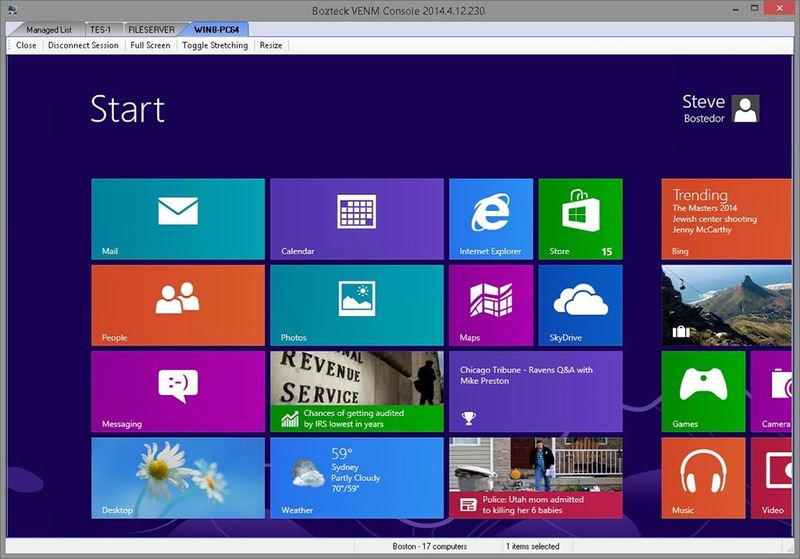 The most visually obvious change is the amount of real estate you are now given for your remote desktop tabs. 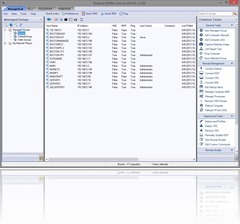 The toolbars have all been moved inside the main tab allowing the other tabs to consume the full window size of the console. Believe it or not, this small change makes all of the previous versions feel slightly old fashioned. There are also minor changes in the way that the background scans are threaded out which enhance the performance of the application in many places. 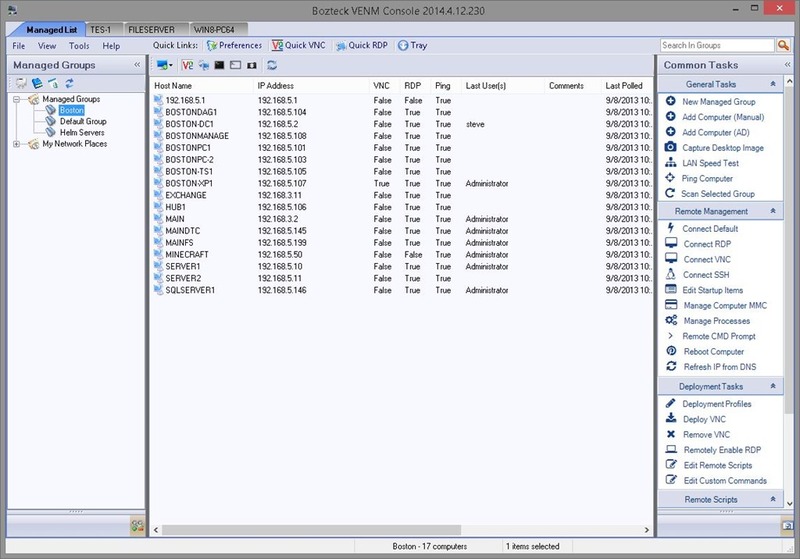 Bozteck VNCScan is a richly featured remote desktop manager that has become the standard toolbox item for virtually every Network and Systems Administrator in over 40 countries.